VIJAYAWADA: Chief Minister N Chandrababu Naidu has given green signal for the proposal put forth by the Energy Department for strengthening the power utilities in the State with an investment of Rs 4,220 crore. While Rs 3,500 crore will be spent for strengthening the infrastructure of APSPDCL, APEPDCL and APTRANSCO, Rs 720 crore will be spent exclusively for underground cabling of power lines in Visakhapatnam. The fortification of power infrastructure is aimed at ensuring quality power supply 24x7. During a teleconference held on Sunday, Energy Department officials said the strengthening of power utilities would be taken up with a financial assistance of Rs 3,500 from the World Bank. Principal Secretary (Energy) Ajay Jain and Chairman and Managing Director of APTRANSCO K Vijayanand said 70 per cent of the World Bank assistance would be loan component. The rest would be borne by the power utilities, they informed the Chief Minister. Power utilities APSPDCL, APEPDCL and APTRANSCO would be allotted Rs 2,000 crore, Rs 1,000 crore and Rs 500 crore respectively.Speaking on the occasion, Chandrababu Naidu emphasised the need to create a special mechanism -- Connect with Consumers -- to bring accountability and increase public satisfaction level to 90 per cent from the present 70 per cent. He instructed the officials to chalk out an action plan to improve the existing 24x7 power supply to the highest global standards. “Study the best practices for reaching the global standards under which a maximum of only 100 minutes of power supply per year could be interrupted. Submit a comprehensive report on the measures that could be initiated to reach the target,” he told the officials. 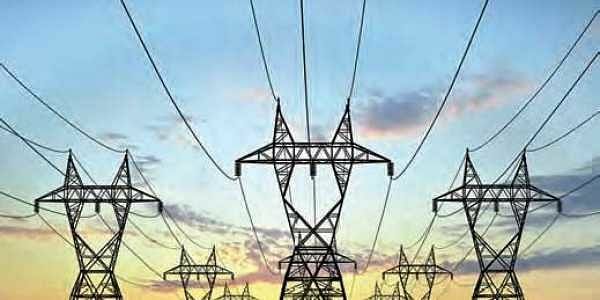 Naidu observed that 24x7 power supply initiative, which was his pet scheme, was the backbone for economic development of Andhra Pradesh.Energy Minister K Kala Venkata Rao said the department was planning to present awards to employees at division and district level, who are working towards improving the satisfaction level among the public.